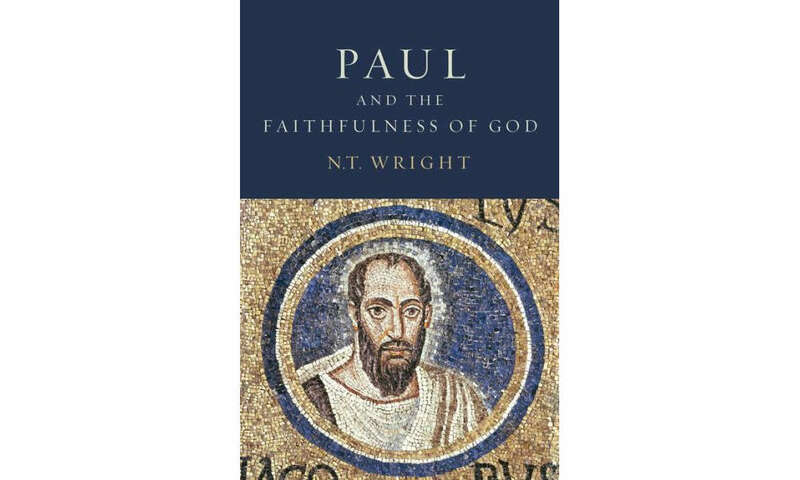 In Paul and the Faithfulness of God, N. T. Wright captures how a change in perspective can come about in reading Paul. His discussion resonated with my experience. When I was in seminary, I participated in a study of Romans that read the letter from the perspective of a Law-Gospel contrast. I could trace the moves they were making and how in some sense they tracked with what Paul was saying. But they needed to blow past a phrase here or a passage there that didn’t quite fit the paradigm. Over the next few years, I came to realize that what Paul was talking about was not a Western, individualized narrative of how a person can move from “sinner” to “saint.” He was concerned about something larger, a concern that actually resonated with (rather than ran against the grain of, or departed from) the narrative of Israel’s Scriptures. My change in perspective came over time, however, after reading and re-reading Paul and his use of terms like “salvation” within the interpretive field of the Scriptures. As C. S. Lewis pointed out about words, when we read old books we go to the dictionaries to look up the hard words, the ones we don’t know at all. The apparently easy words, the ones we use every day, pass by us without our realizing the very different meaning they may have carried five centuries ago. So it is with texts in general. If we do not make the effort to check out the underlying worldview, we will all too easily assume that the writer shared, on this or that point, a worldview (including an implicit narrative) we ourselves know well. The writer must really have been talking ‘about’ what we assume he was talking about, and we ignore the hints within the text of a different worldview, a different underlying narrative. Paul ‘must really’ have been talking about ‘how I can find a gracious God’, and the turns and twists of his argument must then be explained as his use of this pre-Pauline tradition, that hellenistic topos, these themes his opponents introduced into the argument – anything rather than a narrative about the larger purposes of the God of Israel. What alerts us, often enough, to the fact that there is ‘something else going on’, something we had not bargained for, is the casual remark, the throw-away line on the edge of something else, which stands as a signpost down the passage which we did not take, towards the door we never opened. So it is, often enough, with Paul. When he says that God promised Abraham that he would inherit ‘the world’; when he says that those who receive God’s gift of dikaiosyn will ‘reign’; when he says that the result of the Messiah’s curse-bearing death is that ‘the blessing of Abraham might come upon the gentiles’ – in these and many other places he is, quite simply, not saying what any of the major western theological traditions might have expected him to say. At such points, we either conclude that he has expressed himself imprecisely, or inaccurately – presuming, in the so-called method of Sachkritik, to know better than Paul did what he ‘really’ intended to say – or we stop in our tracks and re-examine our hypotheses about what he was in fact thinking and talking about (466-7). These last few lines capture for me what it means to be a faithful Bible reader. Getting to grips with what the text is actually saying (at its several levels) and then letting that revise our assumptions and refine our thinking. This is a very insightful post – and N.T. Wright has many good things to say Paul’s use of language so he’s a great mentor. Most particularly N.T. Wright recognizes Paul’s sense of ‘righteousness’ properly, meaning ‘legal status before a righteous judge’ rather than the ever-so-present ‘some substance passed from Christ to us in a some-what liquid fashion’. I still have qualms with Wright though .. he equivocates between ‘Jew’ and ‘Israelite’. Jews were citizens of Judea, Judean Israelites mostly Idumean converts; so not all Jews were Israelites. Israelites were Hebrews of the House of Israel, separated from the House of Judah after Solomon, and taken away, never to enjoy the return the House of Judah enjoyed. Israelites were never Jews. In fact to the Assyrians who took them away they became known as ‘House of Omri’ (Bit-Humri on Panel A2 of the Black Obelisk). Only these Israelites inherited the right to carry the great name promised to Abraham (see [Gen 48:16]); “Israel”, as a name that points back to God, was that great name promised to Abraham, and his descendants, in [Gen 12:2], since God shares his glory and praise with no other [Isa 42:8]. However even there, God removed this right from them for a while while they were set apart as heathen in divorcement. When he said his name would no longer be profaned [Isa 48:11] so he gave them a ‘new name’ [Isa 62:2][Acts 11:26]. Instead, some other would name themselves “Israel” [Isa 44:5] (drawing upon themselves a curse [Rev 2:9; 3:9] even though this alone is God’s privilege [Isa 43:1; 45:4] as Israel’s husband [Isa 54:5]. It would be nice if Wright, and indeed other Christian’s scholars, knew some of this since it’s both biblical and historical. Wright also seems to lack knowledge that Hyrcanus had forcibly converted Edomites (Idumeans) to ‘Jews’ accounting for much of the antagonism between Christ’s Benjaminites (Israelites) and Herod’s appointed Edomite high-priests (at least since the fall of the Hasmonean dynasty). However, like many modern scholars Wright is simply happy to speak about ‘Jews’ as ‘Israelites’ without referencing either historic or prophecic realities; so he cannot really be faulted. Forming theories to suit facts (rather than the other way round) takes intellectual courage which seems in rare abundance. Nevertheless, that folks are endeavouring to understand Paul on his own Hebrew terms by nullifying later patristic or Greek philosophical influence is encouraging – so there’s hope for us yet.